At a recent Berlin press conference, Volkswagen announced that they would be making a significant shift in the services they offer to consumers. “We will be a device and software company,” Michael Jost, Volkswagen’s Strategy Chief stated. This is a pretty big announcement from the world’s largest car manufacturer. Changing gears to become a provider of transportation services, Volkswagen is focused on electric vehicles and car sharing to make commuting in cities more convenient. The applications will offer a variety of services available for both Volkswagen’s standard cars, and their upcoming electric vehicles. Services will include electronic payment for parking, in-car package deliveries, and exclusive deals from local partners. Volkswagen also hopes to provide other services to owners, such as digital keys that will securely enable car sharing. Innovations like these will help owners monetize their vehicles and represents Volkswagen’s commitment to innovation. The company announced that the We Share platform will launch in Berlin with plans to have 2000 electric vehicles on the road by 2019. From there, they plan to expand We Share across Europe, followed by select markets in Canada and the U.S. If Volkswagen meets their aspirations for the We Share platform, it will secure 10 million new users each year. To put that in perspective, no other automaker has a a digital network this large. Digital acquisitions at this scale would immediately help Volkswagen catch up to competitors like BMW that have been in the car sharing space for years already. Part of the We Share platform also includes plans for a Volkswagen operating system, which the company says will help cars better communicate with one another and infrastructure. This will help make services like electronic payment and in-car deliveries possible. According to Volkswagen, we can expect to start seeing the OS in all-electric vehicles beginning in 2020. 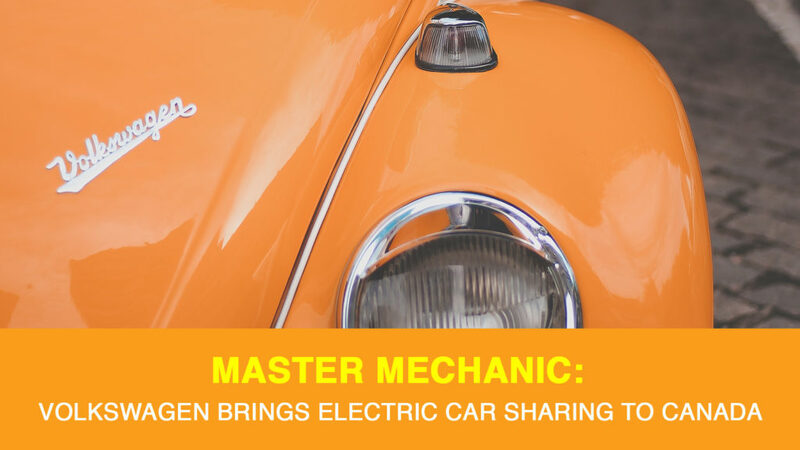 To learn more about Volkswagen’s car sharing and electric vehicle aspirations, read more about We Share. As always, if you have any questions about your current vehicle or would like to schedule an inspection, don’t hesitate to contact your local Master Mechanic!